Jason Kravitz (Brussels, Belgium) on 3 October 2005 in People & Portrait and Portfolio. 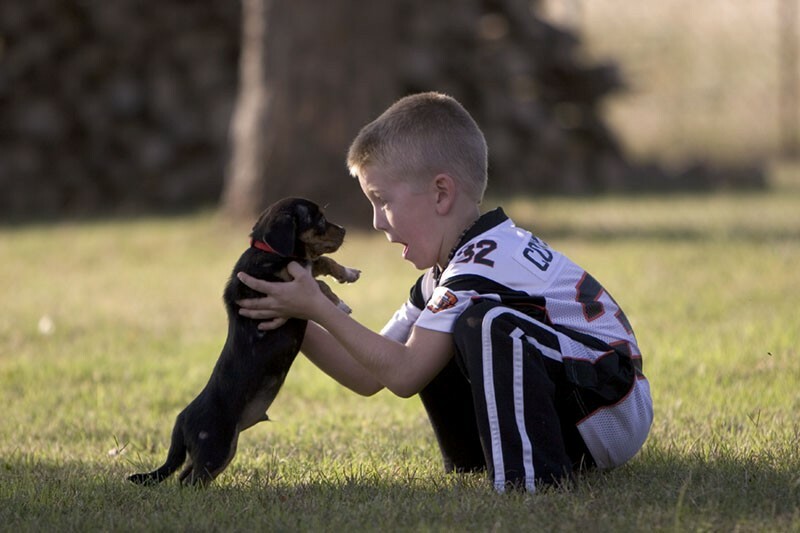 Leslie's nephew Hayden has been asking for a puppy for a few years now and this past weekend his wish came true. Here is a shot of him and his new puppy Lenny. Now that is a look of excitement! Such a cute pair! He sure is very happy. This is a really expressive shot! You can feel his happiness! Nice profile. I like the name Lenny for a pup. Haven't heard that one before. That is so adorable. The puppy is soo cute. Lovely photo. cute! it seems like they were talking to each other. haha funny! What a great capture of excitement seen in Hayden's face. It's been almost 4.5 years since this post and I hope Lenny and Hayden are still best buds. I'll have to post a 5 year anniversary shot ! A timeless photo of a boy and his puppy. I like how you captured the expression on his face.